BBC News coverage of Public Health England’s work on mapping fast food hotspots mentions Tasters Fried Chicken’s new healthier menu for children, which came about as part of our work on Healthy High Streets. One in three children in the UK are now overweight or obese by the age of eleven. To help tackle this issue, Innovation Unit in partnership with Guy’s and St Thomas’ Charity, Healthy London Partnership, Battersea Power Station Foundation, Hyde Housing, and Haringey, Southwark and Lambeth Councils, has been working with businesses across three London-based localities to give children and young people better access to healthier food options. Last week, BBC News coverage of PHE’s work on mapping fast food hotspots recognised smaller businesses, like Healthy High Streets Challenge winner Tasters, for providing healthier alternatives to best sellers so that families and young people are encouraged to make better food choices. In addition to Haringey-based Tasters, Innovation Unit has been working in Lambeth and Southwark to gather insights and test new solutions which encourage families and young people in the local community to eat healthier. In January 2018, Tasters Fried Chicken Shop in Tottenham was the winner of the Healthy High Streets Challenge in Haringey. Owner, Shahid Majeed wanted to quietly shift the eating habits of his younger customers by developing and testing a new, healthier grilled chicken menu, as an alternative to the unhealthier fried chicken option. Shahid’s winning idea was recently tested over a 4 week period of trading, with great results. If you would like to find out more about Healthy High Streets, please contact Vicki Purewal. 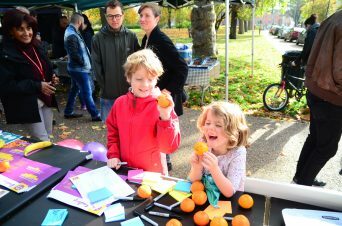 Healthy High Streets works with local food retailers, businesses and communities in three London boroughs to find and test ideas for making high streets healthier for children and young people. 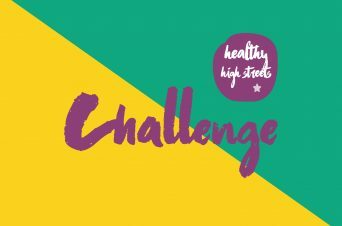 Calling all business owners, entrepreneurs and community changemakers – do you have an idea that will make healthier food choices easier for children and young people on the high street? 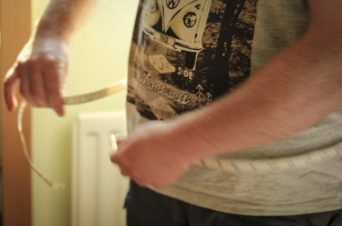 We all recognise the scale of the obesity problem, and that stigma attached to being overweight makes it difficult for people to ask for support, so why aren’t more health professionals identifying the problem and taking action that can help?